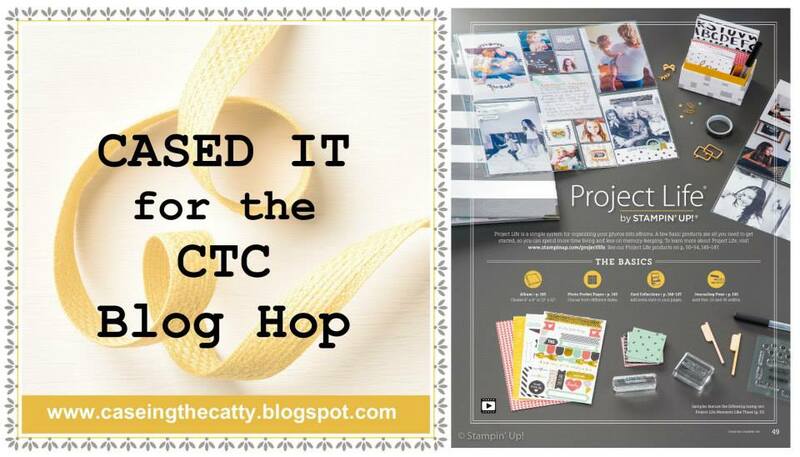 Welcome back to the Friday bloghop around the CTC crew. I struggle with making Christmas cards so far out from November (OK I know it's not really that far....) However I had fun making this week's entry. I love the wreath options in the stampsets available now and the matching Framelits but sadly I don't own either of them so I had to create another wreath. 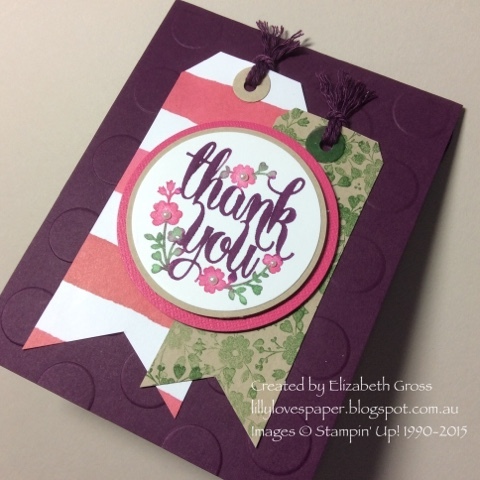 I like to find alternative uses for stamp sets I already own, and the beautiful set Awesomely Artistic is perfect for this. 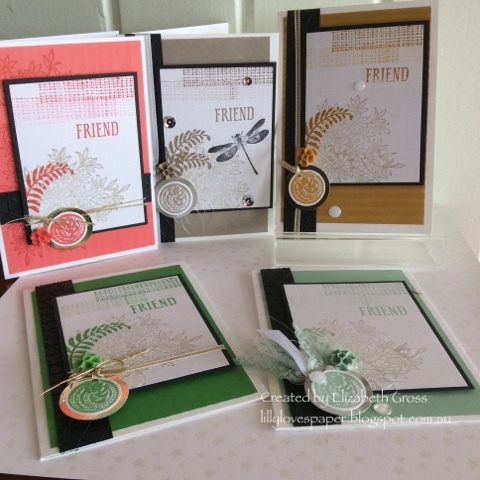 Using both the fern images and one layer of Mint Macaron and one of Garden Green I laid down a nest of ferns around a circle I had drawn in pencil. These images work really well for this because they are both already curved images. 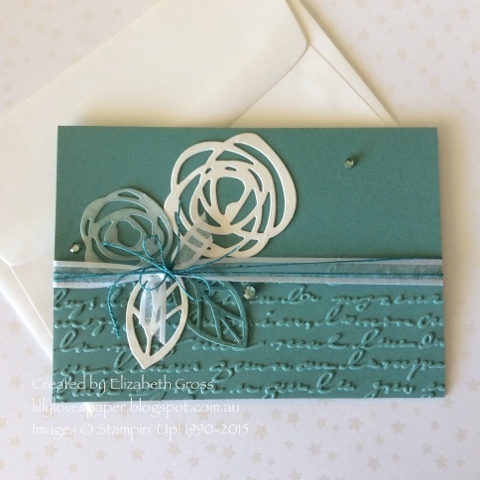 This is a technique I have done in Christmas cards in the past and it works quite well, you can see some older samples here - one using Gorgeous Grunge, and another with a leaf image. 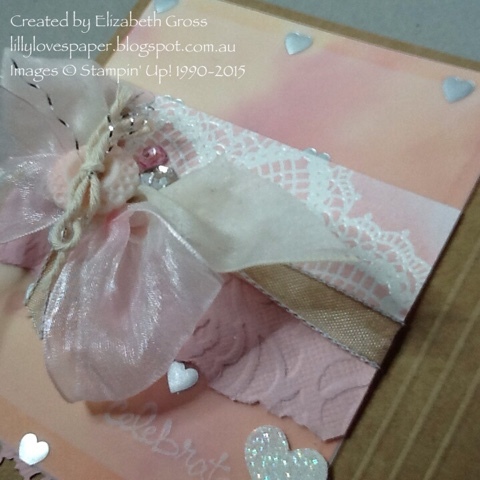 The Banner is Vellum embossed with the Large Polka Dot folder, and I then added some gold embossing powder using the dotted heart image from the same set to decorate the wreath and the card base. I didn't have any gold cord but crochet cotton in the right shade seemed a good option. 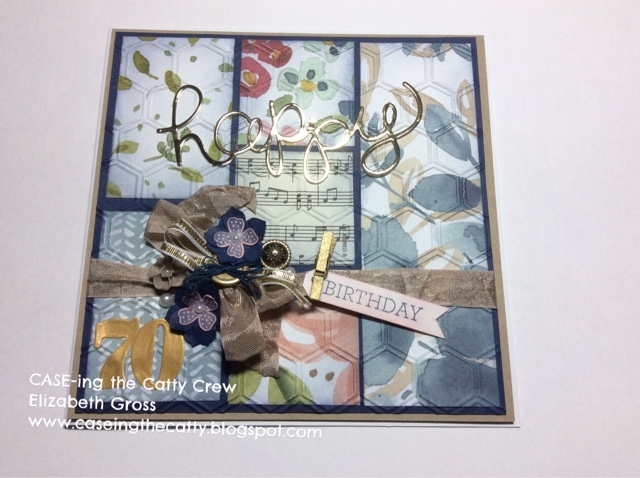 With the scraps left over I created a second sample and it came together quite quickly- that's always the way! 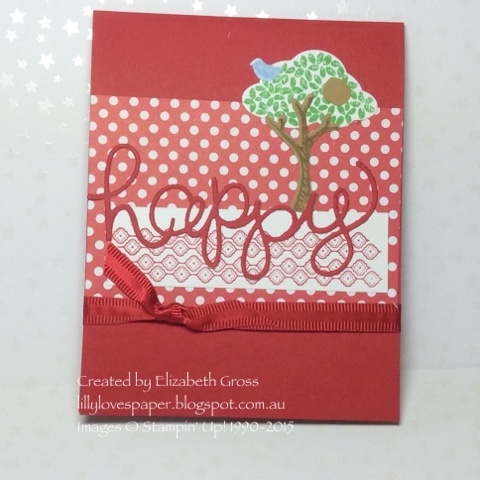 Hope you find lots of inspiration on these blog hop pages, Christmas cards are always fun to create. 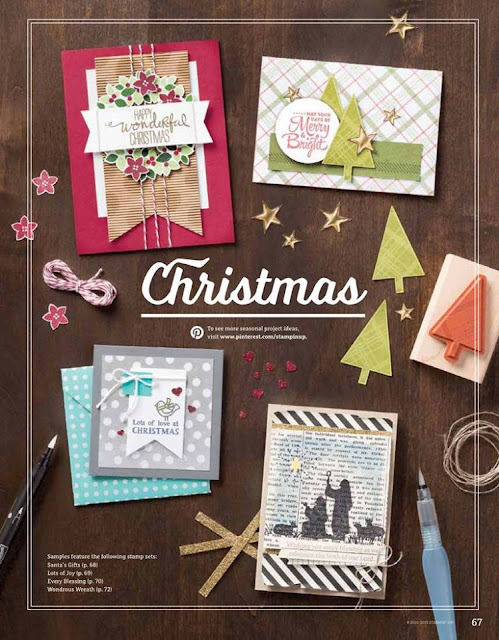 Psst, I'll let you in on a secret- the new Christmas catalogue is about to be released soon and OMG it's AMAZING!!! 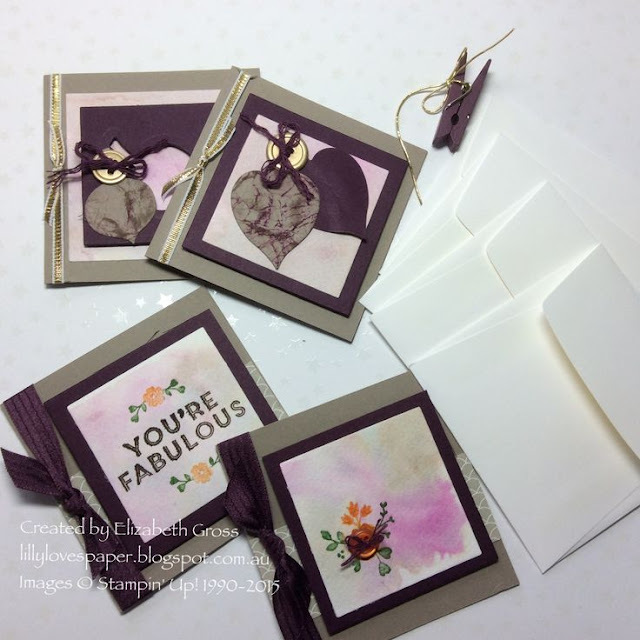 Next on the blogshop circle is the amazing Helen Heil,she has something amazing to show you. 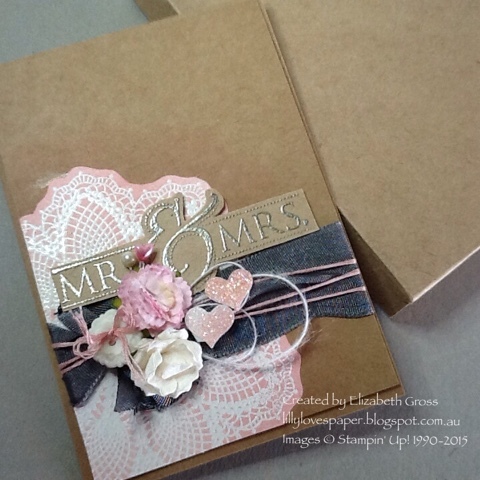 A few wedding cards- it's that time of year! 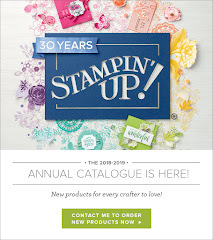 would showcase a little collection of different styles and samples, some using lots of Stampin' Up! Producers, some a little less. 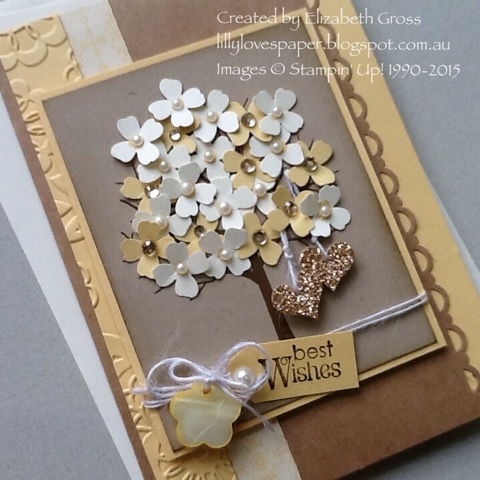 Made using a Sheltering Tree, and the mini flower punch. 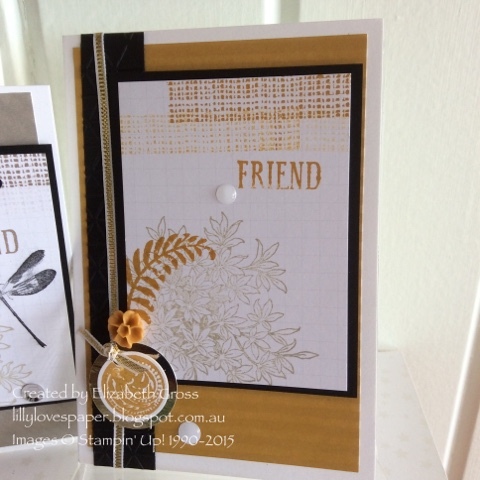 Made using the Striped Scallops Thinlits Die and layering 2 sheets on top of each other. 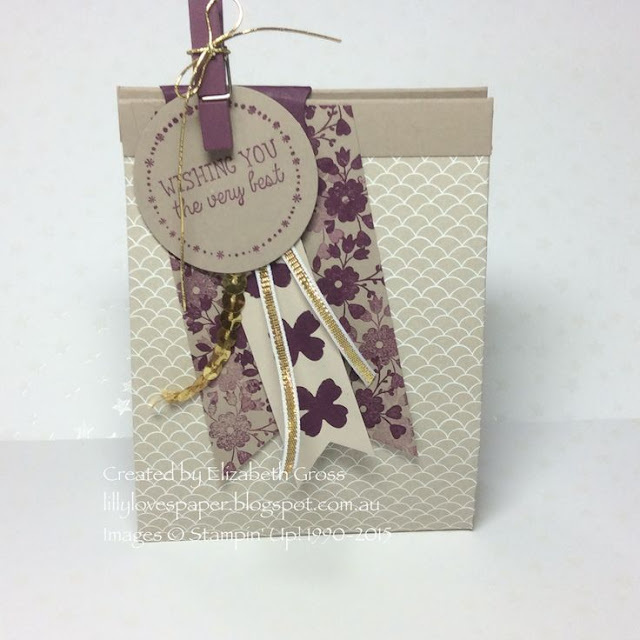 Using Hello Doily, and a card and box made from Kraft cardstock. 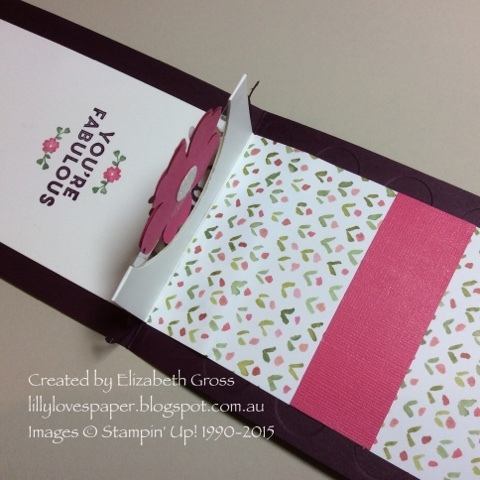 I used the Envelope Punchn Board and the great Box Wizard from A Crafty Owl to get the perfect dimension so that the box was deep enough to not squash the little cluster of flowers (and bits and bobs). 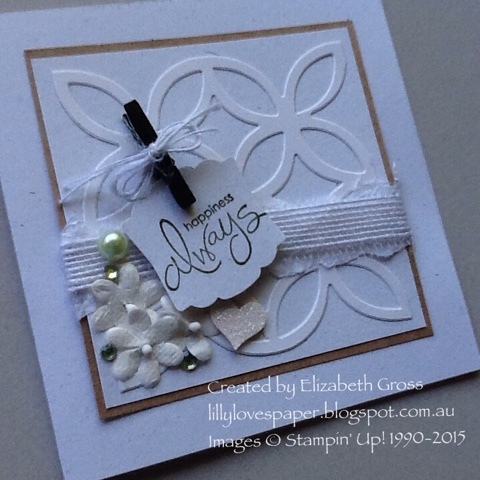 Just a quick post to show you another of the cards we made at the class on the weekend. 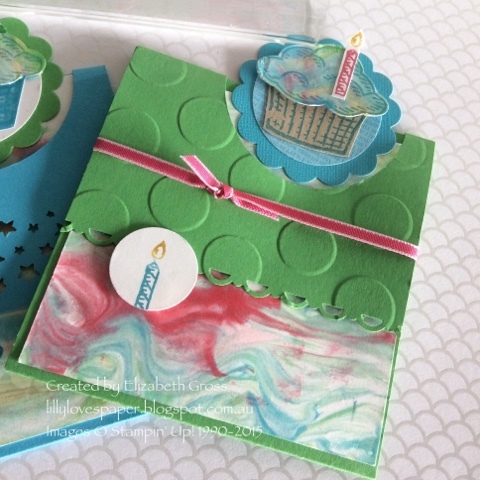 We played with some shaving cream marbling - a fun technique I haven't really used much. 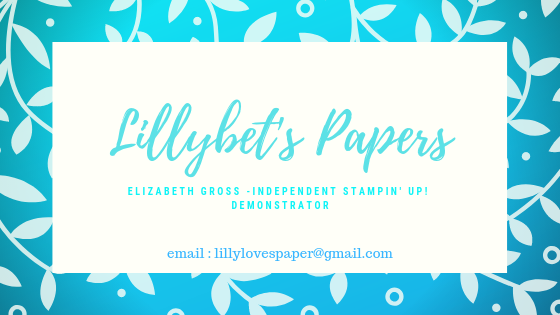 It made some gorgeous background papers for the frosting on the cupcakes. I am surprised at how much I am able to do with this set as I play with it more - in fact I only realised the other day that it has a flower shape incorporated in the punch! 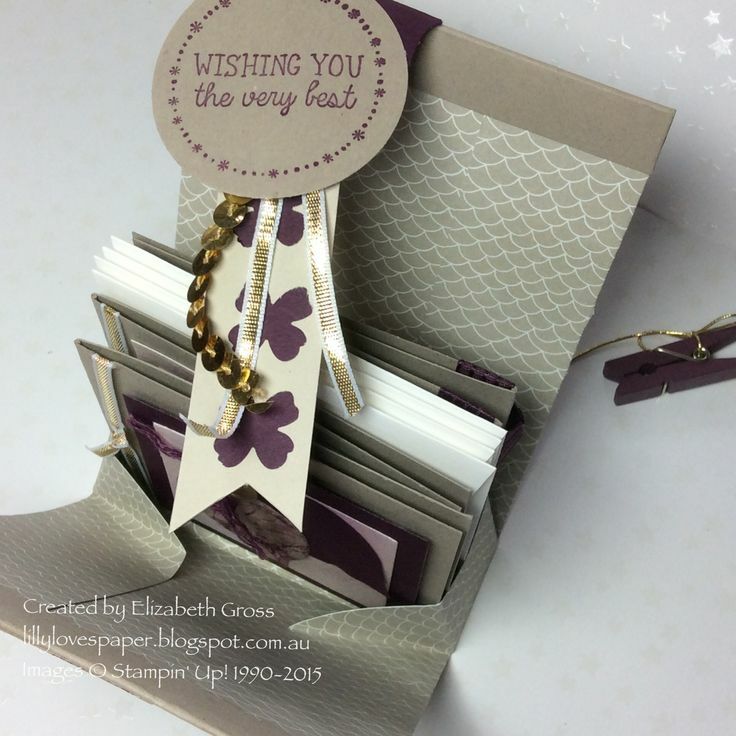 The simple fold card is an adaptation of Julie Davison's design which has been around for ages. 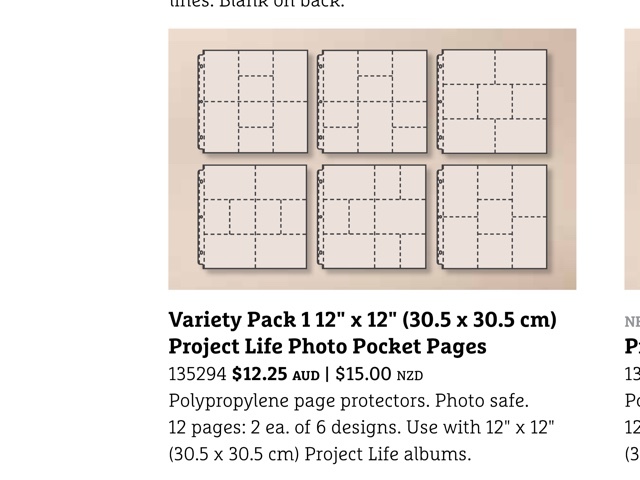 I modified the measurements for Australia to be 10.5 wide - so you get 2 cards from one A4 piece of cardstock. (Australian width is only 81/4 not 81/2). I don't trim the length until after I have scored and folded - and then only shave off enough from the large flap for it to fold flat. I score at 7.4cm and 18.5 cm ( there are some odd measurements on the metric scoring plate but they are useful). 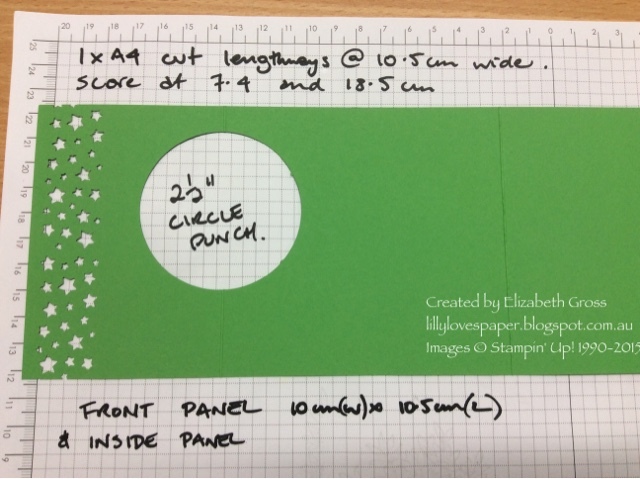 The panels for both the front and inside flaps are then 10cm wide x 10.5 long. 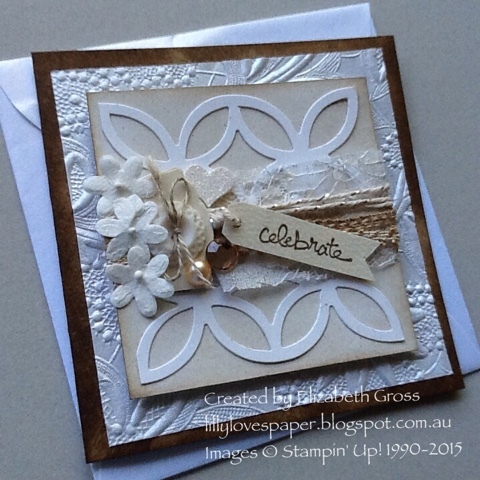 The rest is made the same as Julie's card. 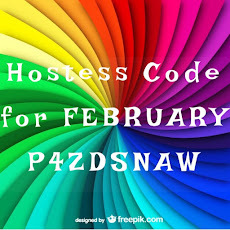 I can't believe another week has gone by already! 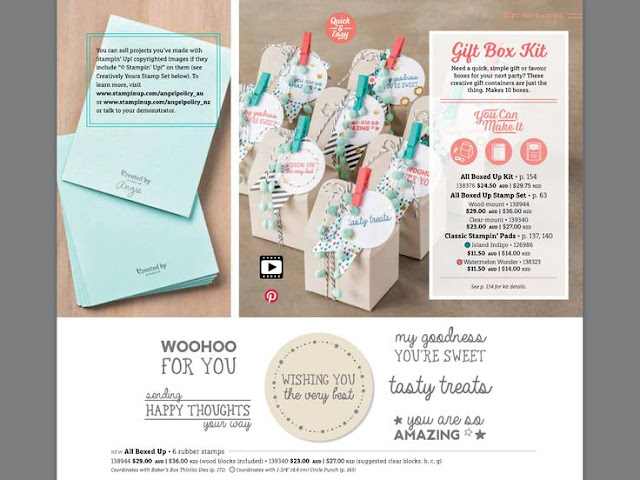 But her we are hopping around the CTC crew looking at how many different ideas we all come up with from the inspiration pictures in the Gift Wrap and Packaging section of the catalogue....So Welcome! 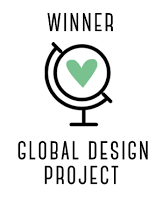 I'm at the end of the hop since I was late getting organised so you will have seen some beautiful projects on your way here. 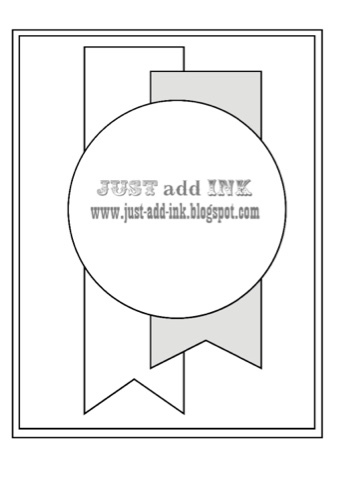 You may have arrived from Julia's blog. Gifts and Packaging are always fun to paper crafters, and especially so with all the beautiful papers/ tools/ embellishments and fun products availalble. I started with a CASE of a CASE when I fell in love with a little handbag on Bronwyn's Blog from the stamp review crew using the Petite Petals stampset some weeks ago. 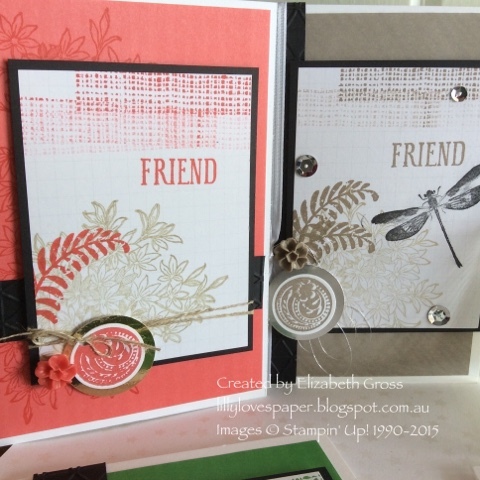 The instructions originally come from Scrap and stamp with Frenchie (here) and it is a quick little project. 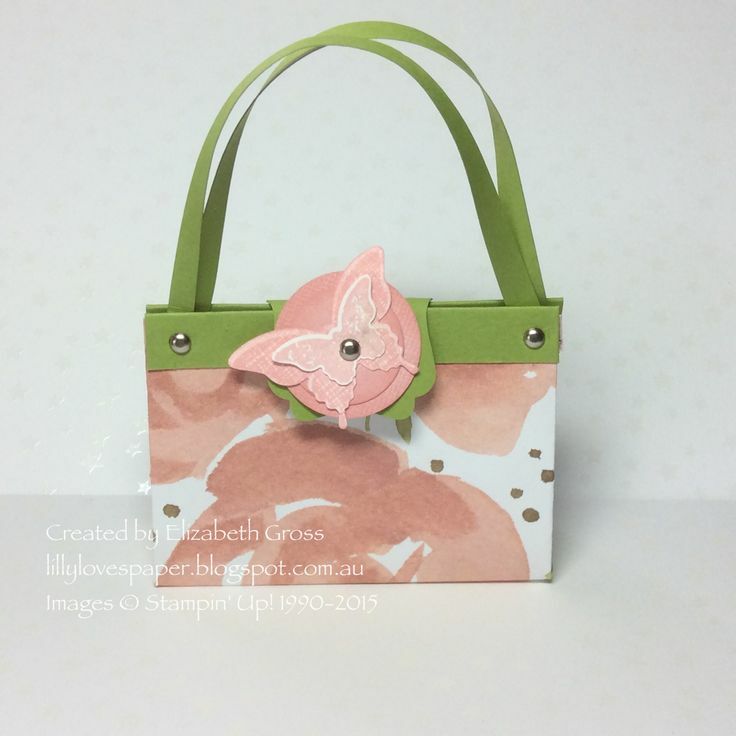 My first little bag is made with some of the gorgeous English Garden DSP using old olive and blushing bride as the trims. 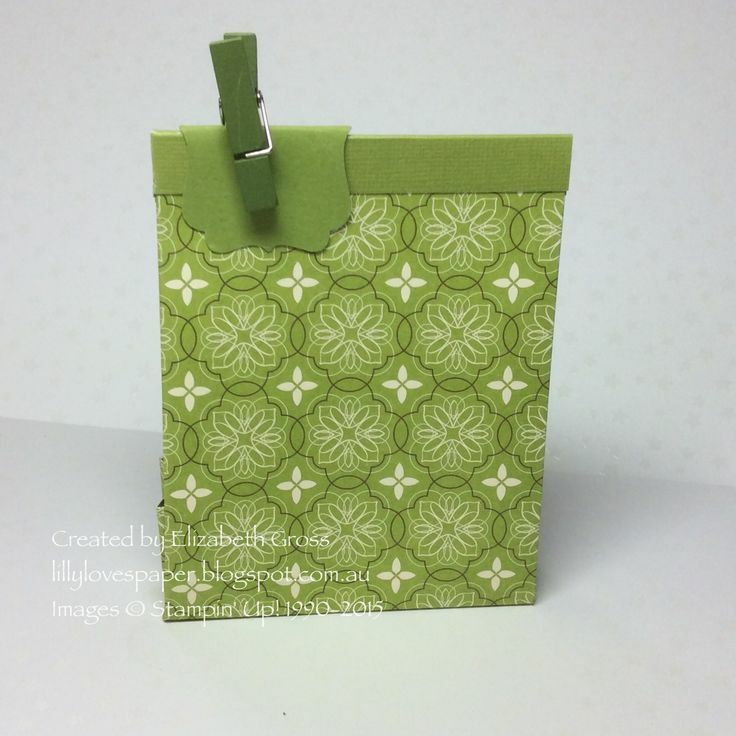 I wanted to see if I could make a little packet for holding 4 3x3 notecards and envelopes and this is what I came up with. 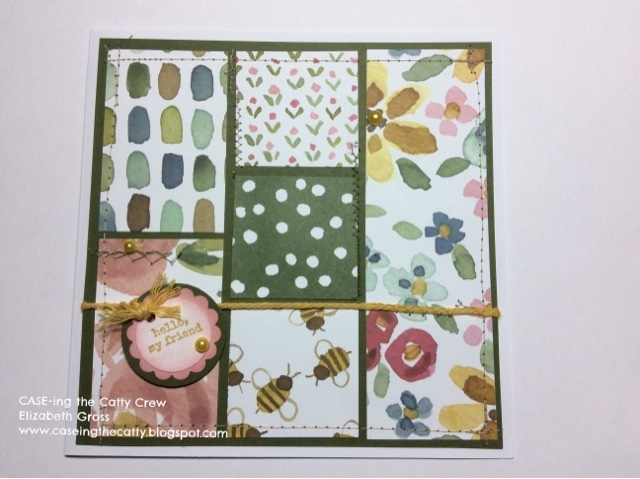 These are the 4 little notecards using some more new toys- the leaf framelits, gold buttons, and gold ribbon, and the hostess set A Whole Lot of Lovely. To make the bag I used a piece of DSP 6 x 10 and scored at 11/4" and 43/4" along the long edges, rotated and scored at 4 1/2" and 5 1/2" and made it as per the basic fold pattern.The tag is stamped using the little stamp from a Whole Lot of Lovely. It makes a sweet little gift. 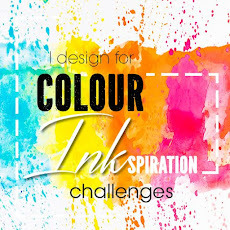 You can see the complete list of participants at the CTC blog here , and don't forget you still have a week to create something inspired by this section and post your comment to the blog page so we can add you to the circle. 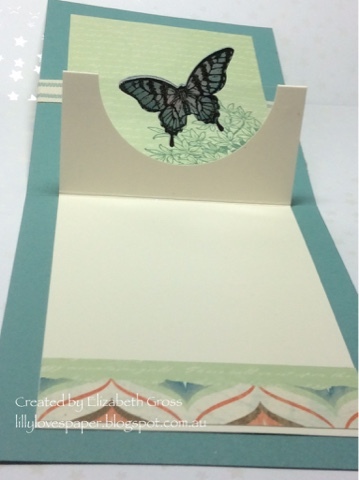 As promised here are a few more samples of the Half Circle pop up card from Julie Davison's design. 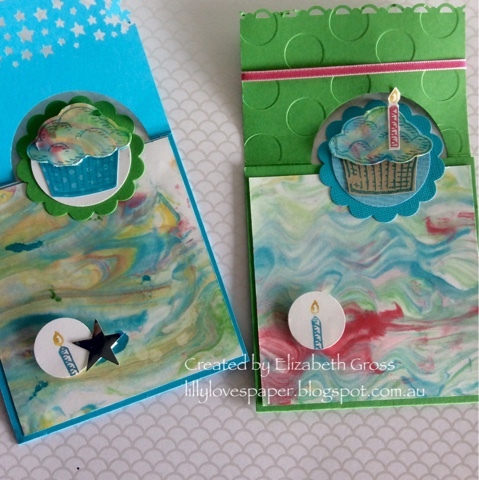 You can see my original sample and a link to the instructions here. 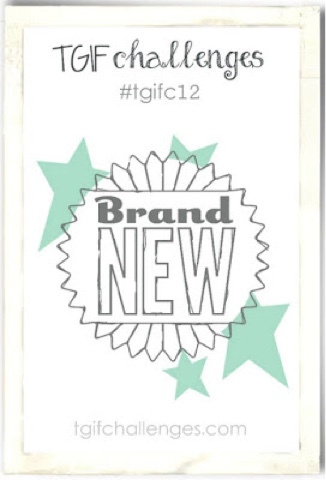 My daughter and all her friends are turning 21 so I have had the luxury of making lots of really special cards. These are for a few of the girls. I have used a mixture of papers old and new, and some non SU flowers, numbers and bits and bobs from my stash - "the useful box" as they used to call it on Playschool. 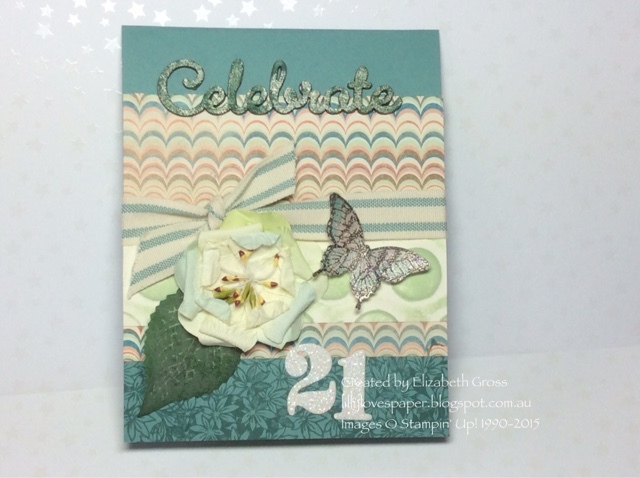 The first card meets the challenge criteria at JAI#272 to just add butterflies - and who can resist the Papillion Potpourri image. 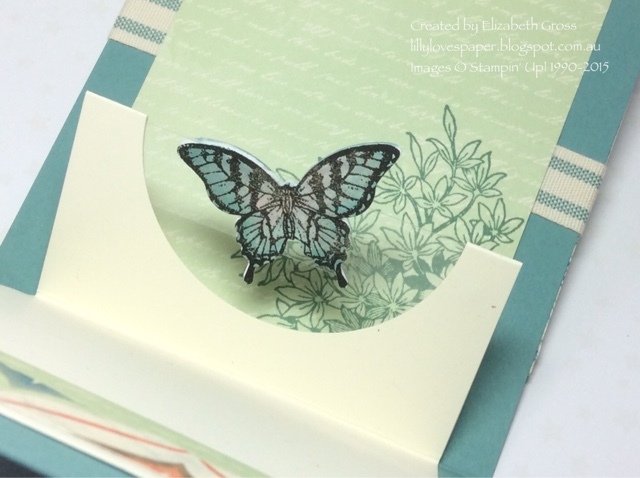 I have heat embossed it in black and coloured in with blender pens before punching three out with the Elegant Butterfly Punch and then glamming them up a bit with some shimmer paint. 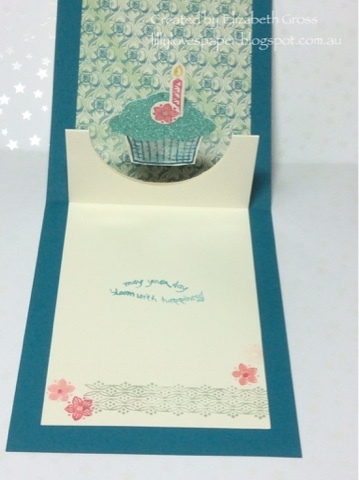 The second sample has no butterflies but a really cute little birthday cake of flowers from Blooming with Happiness. 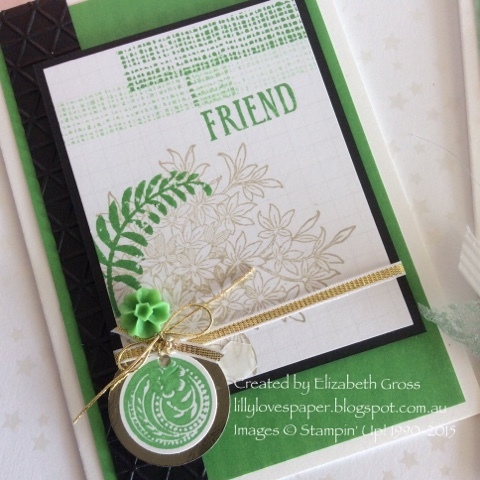 This gorgeous stamps set is sadly retired, but a friend has lent it to me and I've had loads of fun using it. Blender pens were used again to colour in the flowers and then more shimmer paint. 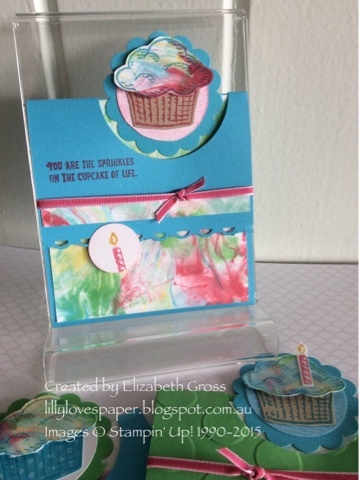 Sprinkles of Life again made this card quite quick using the Tree Builder Punch to make the cupcake inside. 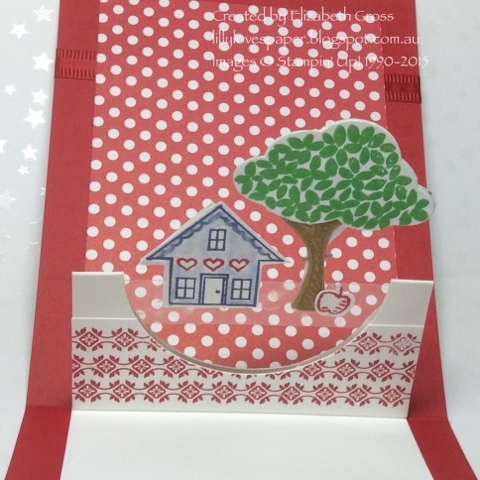 Sprinkles of Life Happy New Home pop up card. 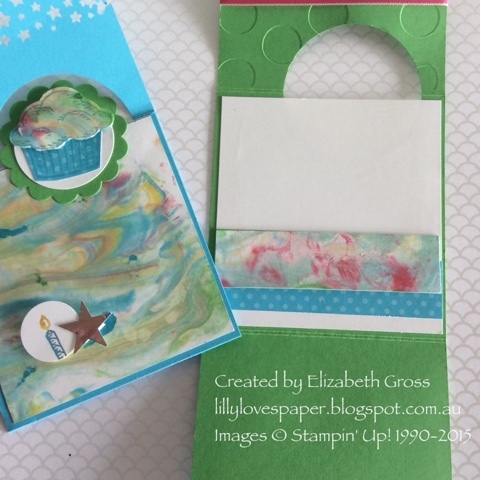 Sprinkles of Life is such a cute set and I'm a sucker for a tree stamp so this was a no brainer for me, especially with the matching punch. 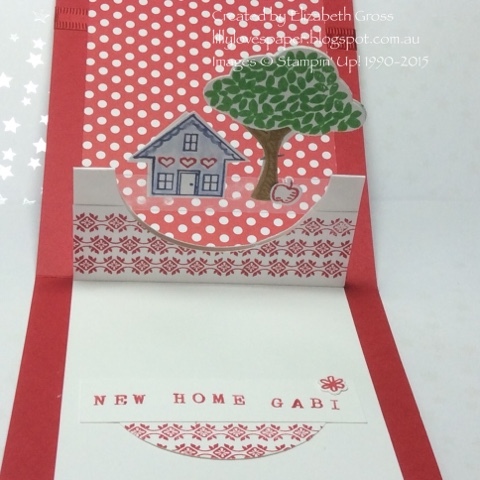 This is another in a series of flip pop-up cards I have been making lately, and this one is for a very special friend of the family who has just moved out of college into her first share home, so a housewarming gift seemed essential. 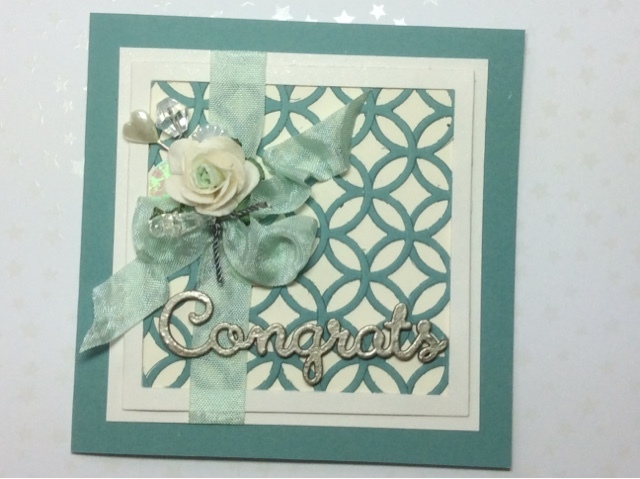 You can find the directions for the card and another sample here. 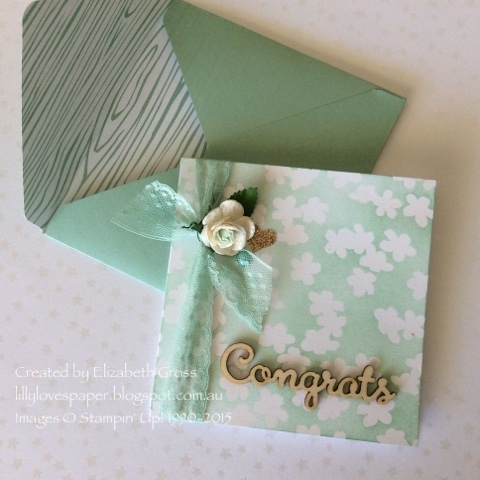 It's such an easy and effective card design, you should try one ! 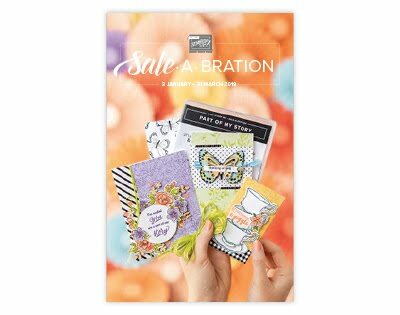 I have also used the super cute retired Sale-A-Brataion set You Brighten my Day. 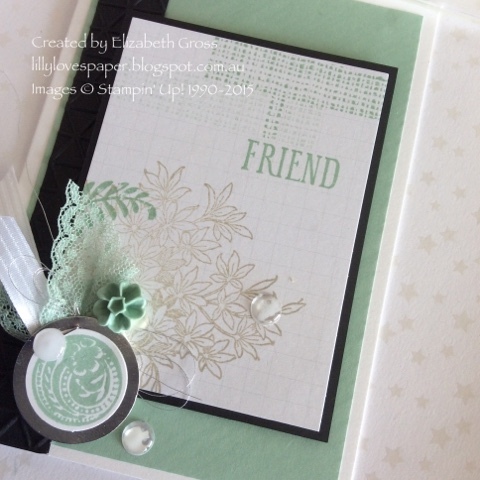 I also used the beaut new Rotary Stamp to personalise the greeting, I love the versatility of this, and the Hello You thinlets for the Happy greeting. 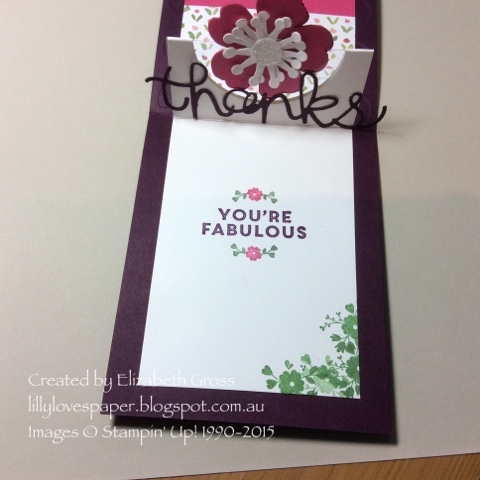 Thanks for looking, I will have more half circle pop up fold cards to show tomorrow. Love new toys and I have just received the Set A whole Lot of Lovely. 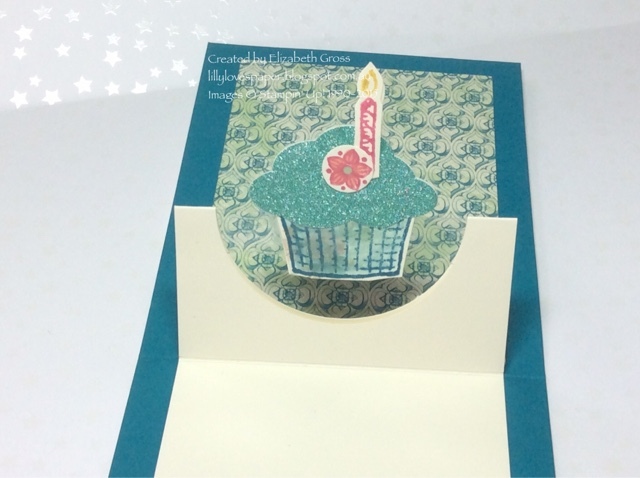 I have made few others but haven't photographed them yet - will add them soon, be sure and check back for more samples of this cute card layout. 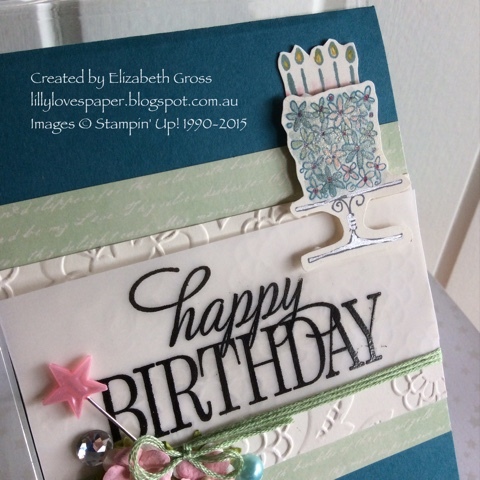 I have another sample you might like to see here using the Sprinkles of Life Set. Love it! 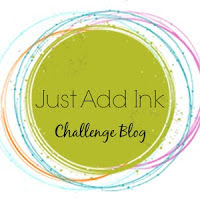 Welcome to this weeks blog hop. 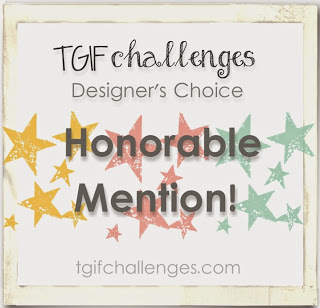 I hope you are enjoying your trip around the crew of designers are CTC. 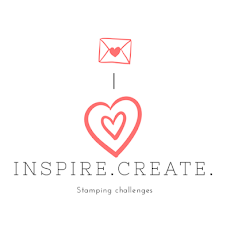 You have probably come from the fabulous Helen's post, she always makes something inspirational. 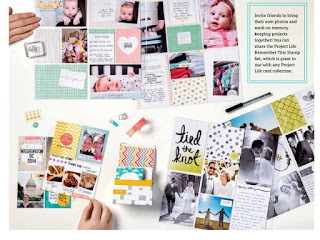 I haven't ventured into the world of project life scrapbooking (or any scrapbooking really! ), so it was a challenge to find somewhere to start, but I do have a love for squares at the moment, and for geometry, so I was struck by the page layout on the bottom right of the photo on page 54- the one with 3 squares down the middle. 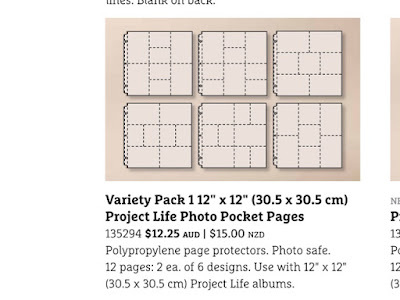 It's perhaps easier to see it from the image of the Variety Pack on page 145. 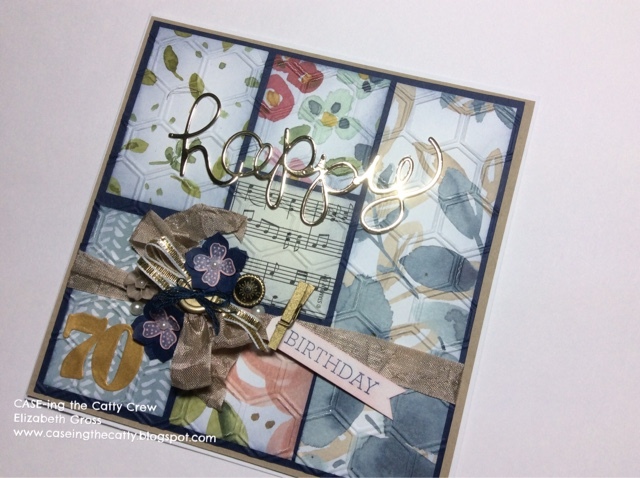 I think this would work well with "inchies" but I have made a very large card -6x6 for a friend who requested a special birthday card for a lady who likes patchwork and music. 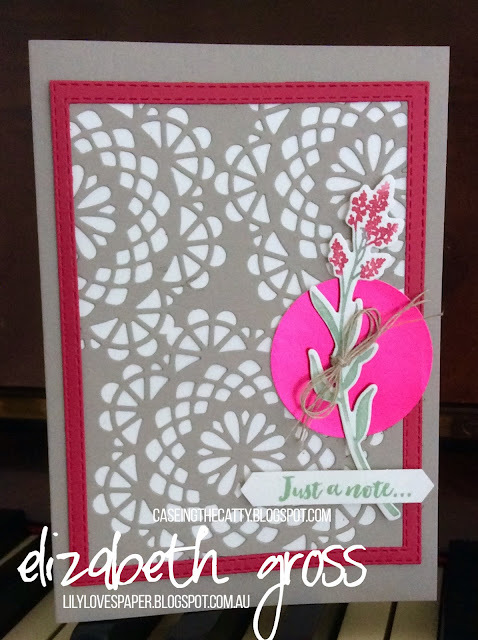 I have used pieces of the beautiful English Garden Designer Series Paper to fill in the blanks. 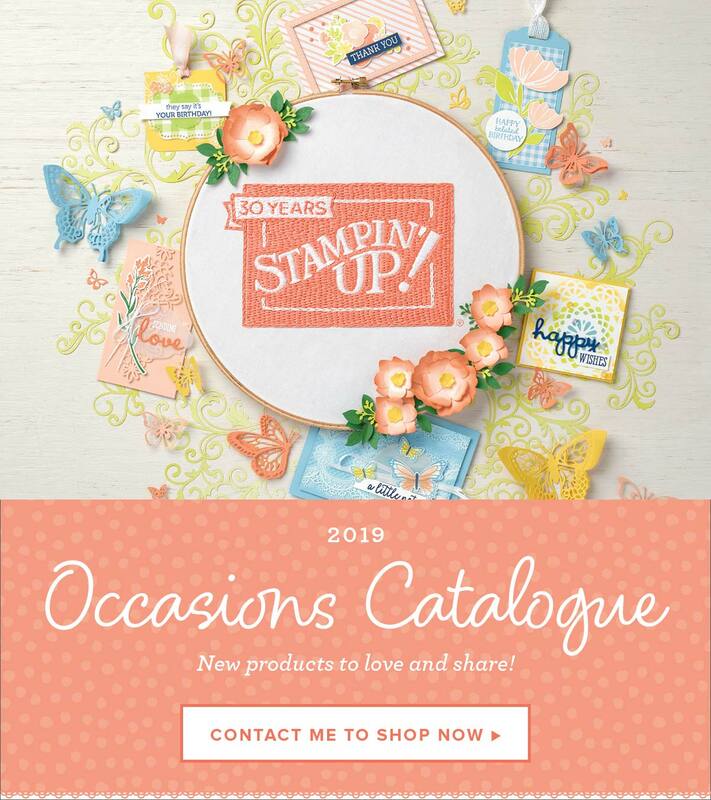 It's a gorgeous collection of soft patterns and cute fresh images. The narrow gold ribbon is also a new toy so I had to includes some of that which matches the gold Mini Metallic Clothes Pin, The Crumb Cake seam binding ribbon adds a soft bow, and the "Happy" from the Hello You Thinlits looks great cut from gold foil card. 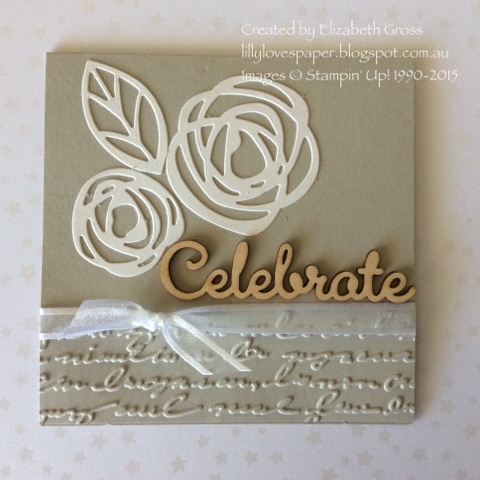 A few Night of Navy flowers using the Petite Petals Punch and layered with the tiny flower from Pictogram Punches, join the antique brad and the cute little In Colour Blossom Accent in Tip Top Taupe, held together with a gold button to forma little birthday cluster. 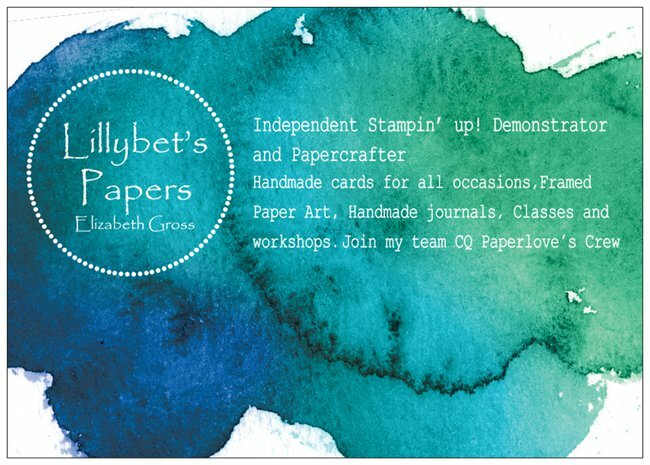 My second card is not embossed but stitched (but don't look too closely or you'll see why I am not a seamstress of note!) It highlights a few more of the lovely patterns in the English Garden DSP and has the Mossy Meadow as the backdrop. 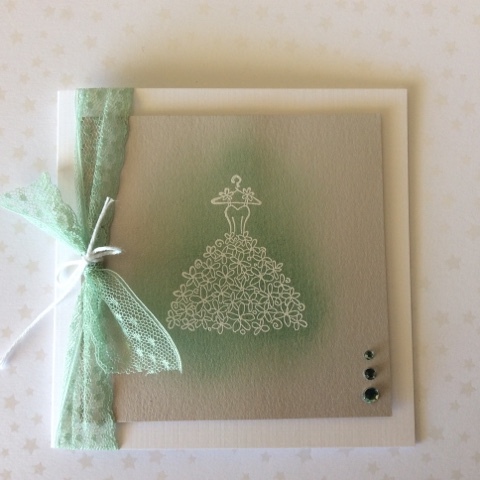 I suspect the exact same layout would look quite different with Hello Honey, or Mint Macaron or Blushing Bride as alternative background colours. 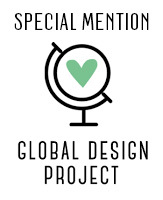 Thanks for looking and I hope you can also find some inspiration in the current Catalogue. 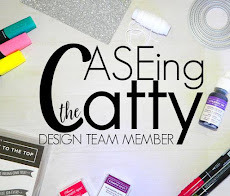 Don't forget you can join in the CASEing fun via the blogpage.